No one wants to think about their credit score. It's boring at best, and for many people, the topic of credit scores can be confusing and even anxiety provoking. But being aware of your credit score -- and in particular, your FICO score -- is an important component to your long-term financial health. A credit score is essentially a summary of the information in your credit report -- it's a snapshot of your risk profile. Lending organizations use credit scores to help determine how risky it is to lend you money. In other words, are you good for it? Your credit score is not the only factor that goes into lending decisions, but it's a big one--and your FICO score is the credit score that matters most. Why Does Your FICO Score Matter So Much? FICO, an analytics software company founded in 1956 (originally as Fair, Isaac and Company), is the undisputed leading provider of credit scores. FICO scores are used in 90% of lending decisions today. The top 50 financial institutions in the U.S., as well as the 25 largest credit card issuers and the 25 largest auto lenders, all rely on FICO scores to help determine whether to lend you money and at what rate. Whether you're applying for a car loan, mortgage, or credit card, chances are high that your FICO score will be factored into the lender's decision. FICO scores are also considered if you're looking to refinance a student loan, apply for insurance, or even get a new cell phone. There are other credit scores out there, but considering how widely used FICO scores are, it's the one to pay attention to. To arrive at your FICO score, FICO pulls a bunch of data from your credit report. The end result is a three-digit number between 300 and 850. The higher the number, the lower your risk--and the more favorable you look to lenders. While FICO clearly defines these categories, it says that the importance percentages are meant as guidelines for the general public and that the weighting of categories actually varies from person to person. The algorithm through which FICO arrives at your credit score is proprietary and therefore remains hard to predict. 1. Pay your bills on time. 2. Keep credit card balances low. 3. Only apply for credit when necessary. Before you start improving your FICO score, it's helpful to know where you stand. Check your credit report for errors to make sure the correct data is being pulled to arrive at your score. 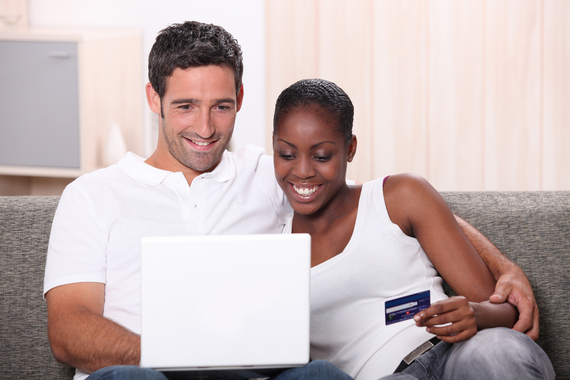 You can order credit reports and your FICO score here. Clean up your credit cards. Credit card debt is one of the biggest blows to a FICO score. With your credit report, you'll be able to see all of your accounts in use. Compile a list, then go online to figure out how much you owe on each card and how much interest you're being charged. Create a payment plan that prioritizes the accounts with the highest rates and work your way down from there. Reminders, not automatic payments. Setting up automatic payments is a good option for bills that stay the same every month, but automatic payments on credit cards usually make the minimum payment, which does not help to reduce your total debt. Reminders can help ensure that you consciously address your balance each month. You may be able to sign up for email reminders from your credit card company, or you can set up your own recurring calendar item on your laptop or phone. Consider refinancing your student loans. Refinancing alone will not improve your FICO score. Student loan debt does not negatively impact your FICO score like credit card debt - in fact, from a credit-mix standpoint, it may actually help, because student loans are considered installment loans while credit cards are considered revolving debt. However, refinancing your student loans often results in lower monthly payments, which makes it easier to make on-time payments, the most heavily weighted factor in determining a FICO score. Also, refinancing your student loans may allow you to pay off your debt faster, which would lower your debt to income ratio and could thereby improve your eligibility for future loans. DRB (Darien Rowayton Bank) is a leading bank and marketplace lender and the fastest lender in industry history to reach $1 billion in student loan refinancings. FDIC insured and established in 2006, DRB Student Loan has helped thousands of professionals with graduate and undergraduate degrees across the country to refinance and consolidate federal and private student loans, saving these borrowers thousands of dollars each.